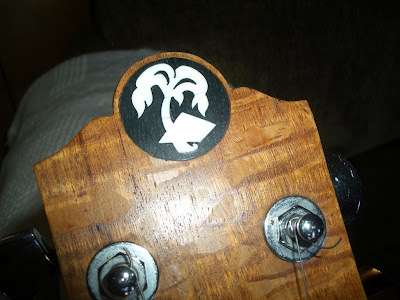 Here's a follow-up post to my previous write-up on Oasis guitars - the instrument I'm profiling here is apparently an early version of builder Gary Cooper's work and given the logo, would actually qualify as a prototype for his Oasis guitars. 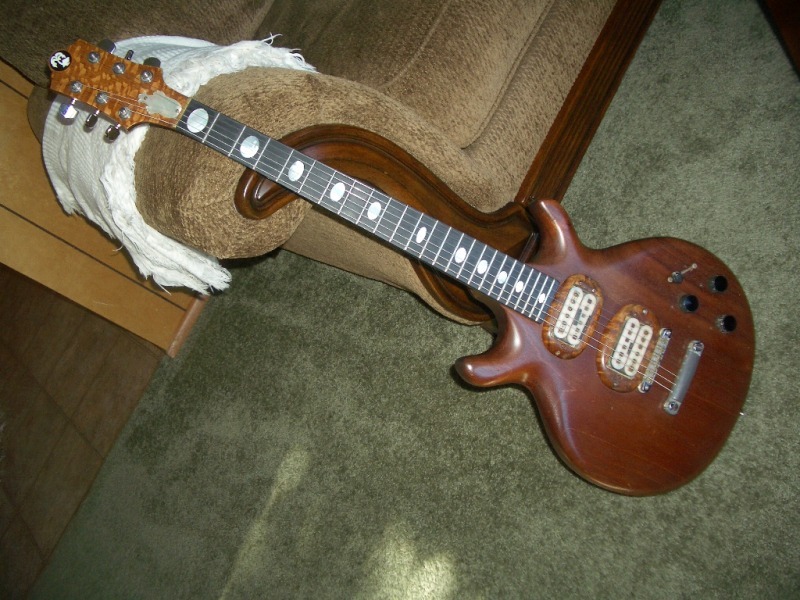 This guitar was recently put up for sale in California by someone who found it via an estate sale or something to that effect. 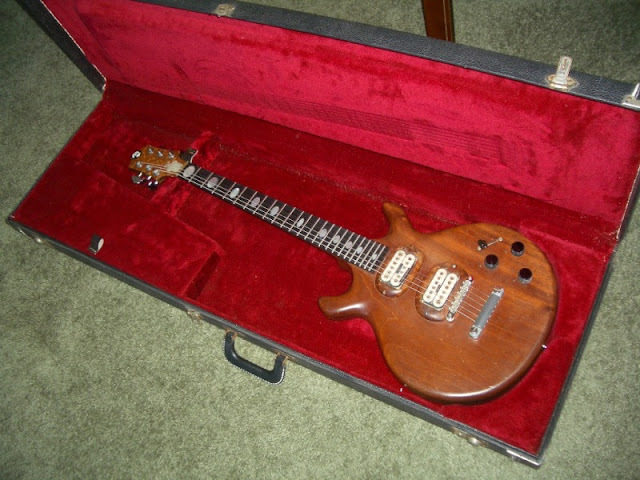 The lore that came with the guitar was that it was built circa 1975 by Gary Cooper, which would be a few years before the blonde mahogany one profiled in the earlier article. 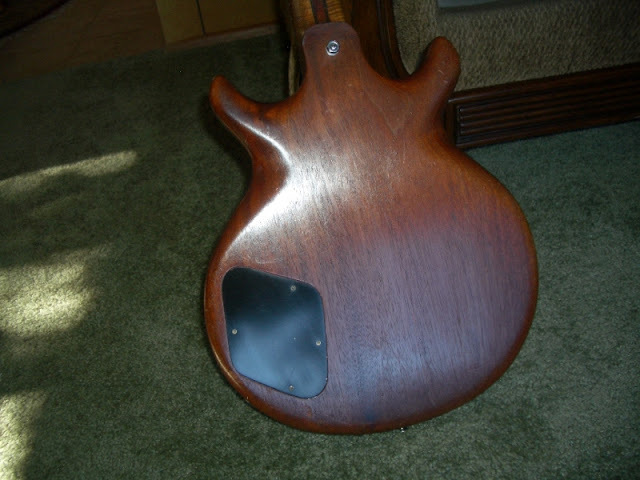 My earlier article also had a picture of another Oasis "prototype" - the truth is that Cooper was probably building a small number of custom instruments, of the same overall form, but differing in the woods used, pickups and trim. Note that the bound-top prototype has the same Oasis palm tree and pyramid logo, but is missing the name "Oasis" on the headstock - the name was apparently an addition to production instruments. 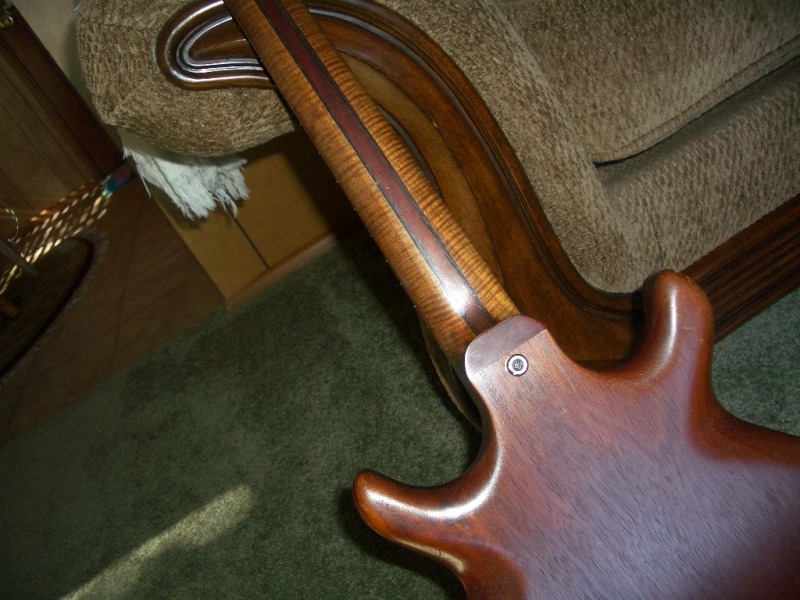 This guitar has some features that are similar to the production models - such as oval pickup surrounds - though on this instrument they are carved from what I believe is walnut as opposed to being made of plastic. The oval fingerboard inlays also seem unique to this example - but the laminated neck construction is common to all three guitars I have pictures of - they just all use different combinations of wood. 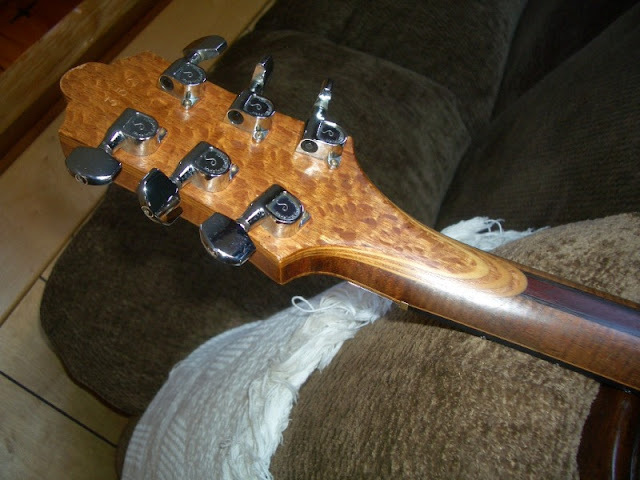 One very different feature on the instrument is the headstock construction - which has a separate piece of oak (?) 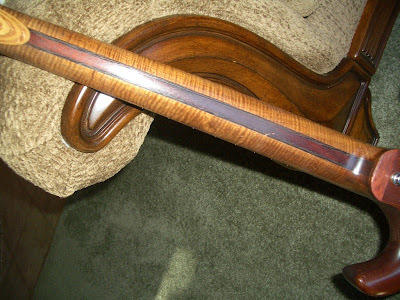 attached with a scarf joint. The Schaller tuners are consistent with the other Oasis guitars profiled. One missing feature is the glued on Oasis label on the rear control cavity cover - perhaps because this is a prototype or perhaps because the rear cover was changed out at some point. The current cover appears to be a black cover similar to the cover on production Oasis guitars. 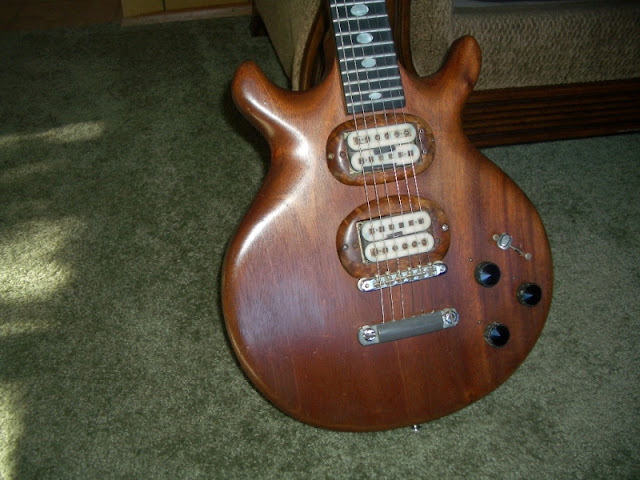 The bridge and tailpiece on this guitar also differ from the other two Oasis guitars profiled in that they appear to be off-the-shelf tune-a-matic style units - as opposed to the heavier bronze custom-made units. 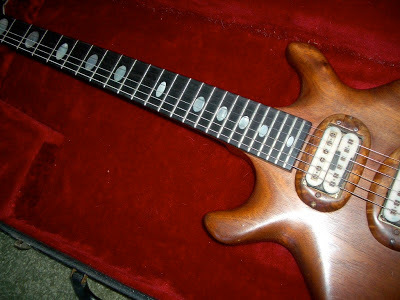 All in all - a very interesting and nicely built American instrument from the 70s.